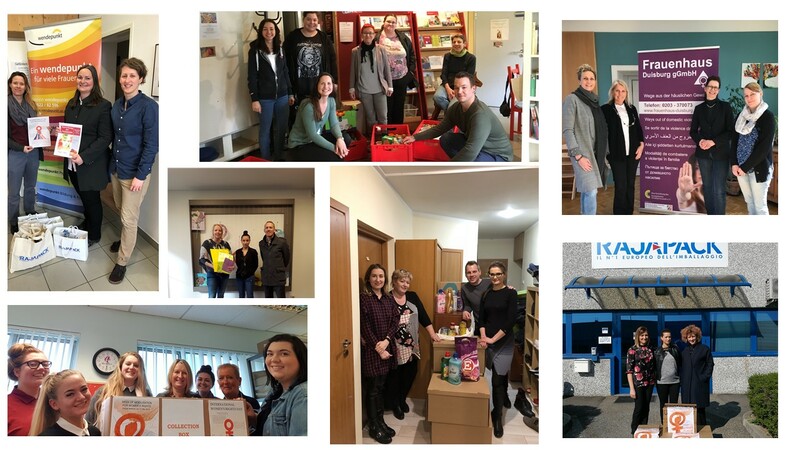 On the occasion of the International Women’s Rights Day on March 8, the RAJA-Danièle Marcovici Foundation organized solidarity collections within the RAJA Group in Europe. Thanks to the mobilization of the 1900 employees, more than 800 kilos of hygiene and wellness products have been collected and handed over to 16 associations in Europe, including 1 in France, that support women victims of violence. Bonjour, Cet article peut vous intéresser : https://www.fondation-raja-marcovici.com/en/uncategorized/the-raja-group-collects-more-than-800-kilos-of-hygiene-products-for-women-victims-of-violence.html. In France, the collaborators are mobilized for the association Gynecology Without Borders. The Foundation pays particular attention to projects promoting the medical management and social integration of migrant women who experience double discrimination, as women and as migrant women. It is in this dynamic that the Foundation has chosen to engage with the association Gynecology Without Borders, which it has supported for several years: in 2014 for an action carried out in Madagascar on the prevention of cervical cancer, and in 2017-2018 for the Caminor project, which offers medical-psycho-social support to women and children in migrant camps in northern France. Following this partnership, the employees of RAJA France and its French subsidiaries CENPAC, Welcome Office and Logisorgues) collected more than 90 kilos of hygiene and essential products for the benefit of GSF.